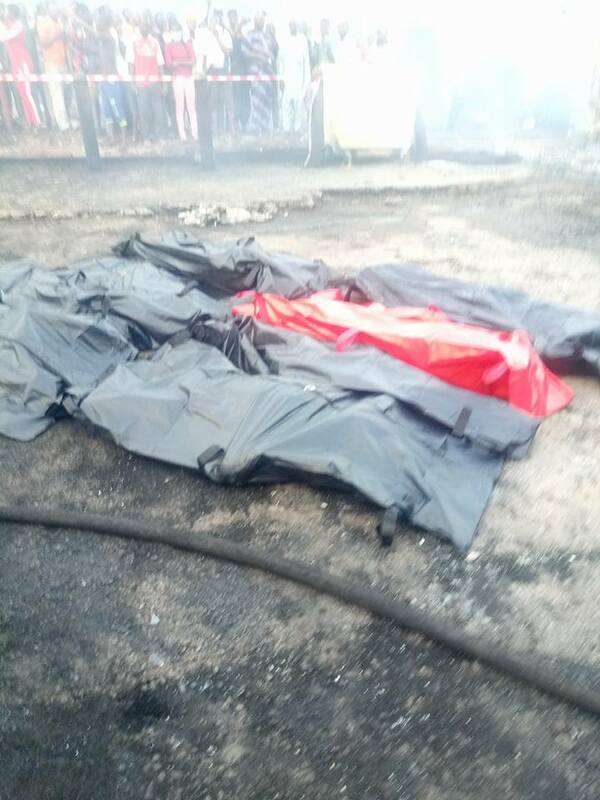 Law enforcement and fire service officials are currently at the scene and have begun evacuation of corpses. 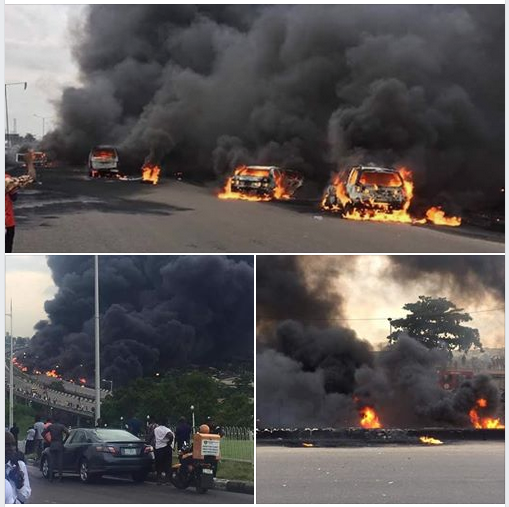 “A tanker which had break failure loaded with PMS caught fire on the Otedola Bridge INW Berger. The number of vehicles affected is 20+, Traffic Situation is @ a stand still, all alternative routes advised ATM” the agency said on its Twitter handle. 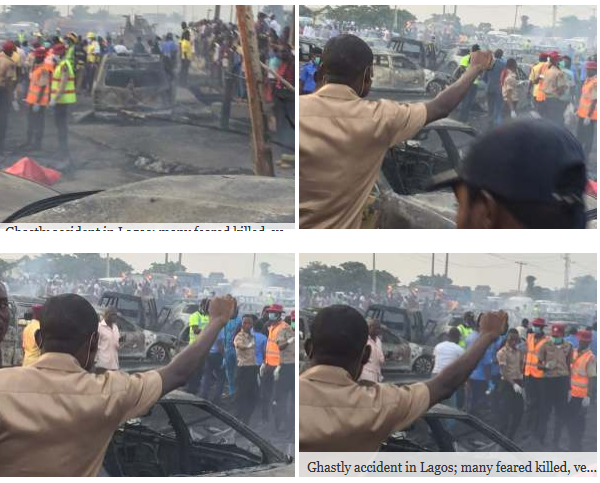 The casualty figures from the accident are yet to be ascertained, the Lagos State Emergency Management Agency has said. The exact cause of the accident is yet to be confirmed, he said. Sad Evening in Lagos~ Don't pass through Otedola bridge, Berger~ Fire accident.